Love these pretty simple stories told from Chet's (the dog's) point of view. Light reading, a little angst, happy ending . . . all's well with the world - more or less. Bernie is short on cash again so he's doing the work he likes the least; divorce. He gets the goods on a man's wife; and on his ex-wife's current boyfriend. The client throws in circus tickets with the check and suddenly Chet and Bernie have found their next case as the elephant and her trainer have gone missing. Though the ensuing chase is much like those in the first two books they're still entertaining. 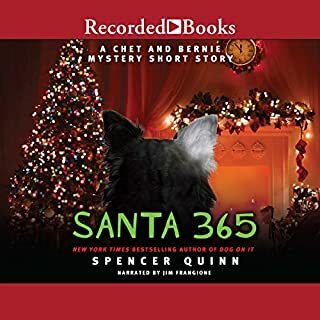 Once again Bernie is hit on the head and is arrested on a bogus charge; once again Chet is captured as well, But once again he escapes and the case takes a huge step forward. I hope at some point there are at least a few changes made in the plots of the books in the series. I like this series but as good as these books are; the plot needs to change sooner or later. Still a great listening experience. Would you listen to To Fetch a Thief again? Why? Yes, it's a very easy listen and keeps you entertained. The characters are well rounded and interesting. 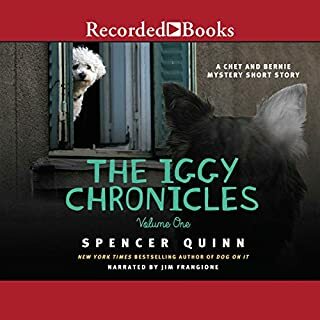 The dog narration is well done but not a "gimmick". You soon forget he has four legs and a tail. Chet as always is the star of the stories. I can't remember any other books by this narrator, but he surely captures the feel of Chet in this series. This series is good for cute, light reading. 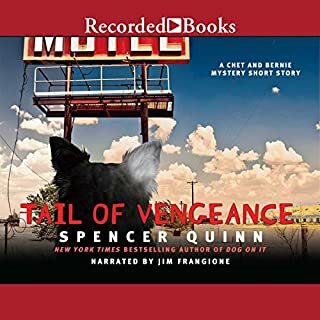 I find myself grinning at Chet's narration and Quinn strikes the right balance of keeping Chet smart and yet still fundamentally a dog who can't quite help himself from being won over by treats and praise or overcome by tangential thoughts of why anyone would *save* bacon or chasing wild geese when humans start talking in metaphors. 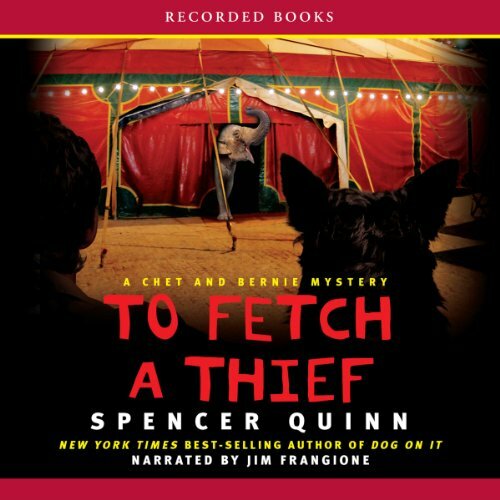 Would you consider the audio edition of To Fetch a Thief to be better than the print version? Only people who own dogs could appreciate what goes through Chet's ever changing mind. We really do want to know what goes in their little pea brains sometimes and even if the story isn't as strong as people would like it is really enjoyable. This is a book that makes you laugh out loud at times and the story line is pretty good, but that's not the point. Books should be enjoyed on your interest in the book and not on others. I have read/listen to many books that got terrible reviews and completely enjoyed them while others that got rave reviews were completely, utterly awful! So to each their own. This is a very good series, just don't get too serious about it. Chet of course! Brilliant mind, ever calculating. Wait! That is really Bernie. I have always thought his reading of any novel was very good. 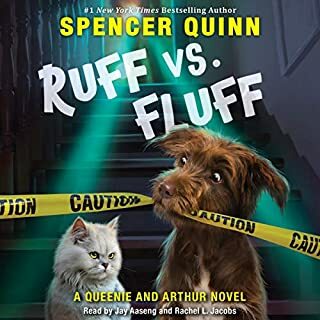 The animal cruelty plot line was not my favorite of the 3, but Chet steals my heart. I liked this second book in the series as much as the first one. A couple times it moves a little slow but it's worth sticking through. 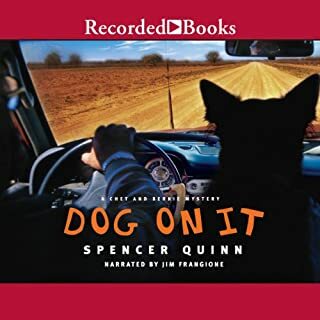 See my review for the first book, Dog On It, pretty much the same applies to this one! Chet & Bernie continue to amaze and astound.I love that the story is told from the perspective of of the dog. I truly love Chet, the dog. He tells the story very well from a dog's point of view. I wish Bernie could hear what Chet has to say because he always has something useful to tell, if he could put it into words. Chet and Bernie love one another so much and that makes me happy because I love my dogs so very much too. Chet and Peanuts, the elephant, make a good pair in this book. They are really the main storyline - and it is FUN. The narration was tired and dull, rather than bright and energetic as in the first two books. At the beginning I actually had to check that it was read by the same guy. He just didn't have the life that he exuded in the first two books. It got a little better after 3 or 4 chapters, but I still noticed its lackluster-ness throughout. The story is more far-fetched (!) 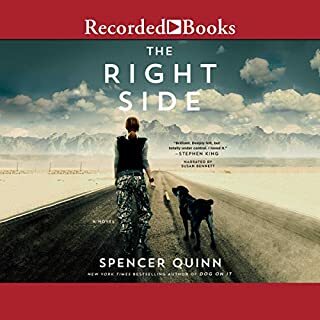 than the earlier ones, which I thoroughly enjoyed, as it addresses animal cruelty and exotic animal trafficking, but missed some opportunities. A parrot is mentioned as if we knew about it but we didn't, the whole incident with the explanatory (not quite a suicide) note and the puff adder was unclear, and the take-down of one of the bad guys was anticlimactic. The "elephants never forget" concept missed a chance to show an example when Peanut didn't trample the bad guy involved in the death of her trainer and her own kidnapping and mistreatment. Chet would have enjoyed and learned from this if it had been there. The confrontation with Malcolm (Bernie's soon to be ex-wife's new husband) was undramatic. It may be impossible for every book in a series to be top-notch. Let's hope that this is that book, and the others are back to the great quality of the first two.